How can stories that explore solutions to problems increase audience engagement and make a difference to attitudes in society? Solutions journalism is an approach to reporting that highlights answers to problems, as opposed to stories that focus on the issues themselves. Also known as constructive journalism, this method benefits both news consumers and journalists, increasing their ability to engage audiences in their work and produce content that helps shape society's perception of the world. Samantha McCann, curator of the Solutions Journalism Network, believes that without solutions journalism, reporters are not able to give their audience an accurate portrayal of events. "If you are only reporting on what's broken, you are not actually giving them all the information they need to respond," she told Journalism.co.uk in a recent podcast. "[Journalists] are really helping to shape the narrative of how people view the world. And if you are not giving them that other half, you're giving them a dark picture of what is happening, which is not accurate." The Solutions Journalism Network, which aims to legitimise and spread the practices of solutions journalism, has tested this concept with The Seattle Times, among others, to compare how readers engage with constructive news in comparison with problem-based storytelling. The study found that people who read a solutions-based story were much more engaged in the issue they were reading about, and likely to share it on social media as well as continue to read more articles from the same publication and author. "Society needs information to change, just like individuals – if you are constantly getting negative feedback, you are not very motivated to improve yourself," McCann said. "Solutions journalism can surface really important knowledge about what is happening on the ground and show how people are responding to problems, in a way that other people can learn from it and possibly replicate these responses and these solutions." She noted that although this approach is often seen as 'soft' journalism or as being less rigorous than traditional news, it is just as critical, and "should be in the tool kit of any serious reporter." Similarly, Mary Hockaday, controller at BBC World Service English, believes that it is important to recognise that not all news is bad, and that positive change does happen. "It is not 'good news' journalism, soft journalism or uncritically buying into people who say 'we've solved this, we've cracked that, look at how wonderful we are'. "And it is not about buying into one particular ideology about how the world's problems should be solved," Hockaday said. "Many people, such as entrepreneurs, inventors or technologists, are trying to tackle problems that they identify, and sometimes they are actually finding solutions. The trick for us as journalists in all of this is to report that aspect as well, but do it with the same rigour, challenge and scrutiny that we would bring to anything that we do." BBC World Service are using solutions-based journalism in My Perfect Country, a new six-part radio series that looks at how problems around the world are being solved. "There are many people grappling with the world's problems and trying to find solutions to make improvements or move things along. "Each week, the programme takes a policy that a particular country has implemented and examines it in-depth," Hockaday explained. By looking at whether these solutions can be practically used elsewhere, the series will encourage audiences to think about what their ideal country would be like. BBC World service has developed the series in response to research it conducted to discover how young audiences around the world engage with news. "There was one message that came back loud and clear. "[Young audiences] care about and follow the news, but sometimes they find it is dispiriting and hard work." Research participants wanted the news to tell them more about the ways in which people were trying to make a positive difference in the world and the measures they were taking to that effect. "Young audiences felt it would be more engaging and empowering if they had a better understanding of good developments and change in the world, as well as problems – I think there is really something in that," Hockaday said. Seán Dagan Wood, editor-in-chief of Positive News, agrees that news consumers should be empowered by the material they read, which would allow them to make a positive impact on society. "The media doesn't just reflect society back to us, as some used to think," said Wood. "Psychology and other behavioural sciences are now showing increasing amounts of evidence that news impacts us significantly, and where the media puts its focus affects how we think, how we feel and how we view the world. This, of course, affects our choices and actions." Positive News, the world's first publication dedicated to solutions journalism, has just relaunched as a magazine. 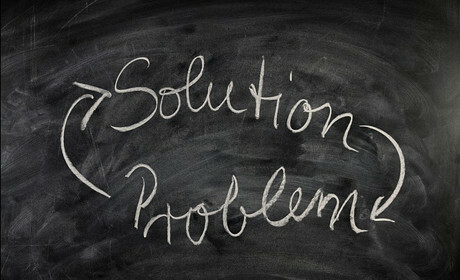 It aims to critically investigate solutions to problems and unveil positive events that are happening around the world. Wood said solutions journalism has been increasingly recognised lately, and it is starting to become a respected and valued part of the journalistic landscape. "It is always going to be essential to hold power to account, and be accurate to find truth and report truth – to be critical and to show the full picture of what is going on in the world," he said. "But if we are only focusing on what is negative, then that can actually leave people feeling cynical and disempowered, which is a waste of the potential of journalism."